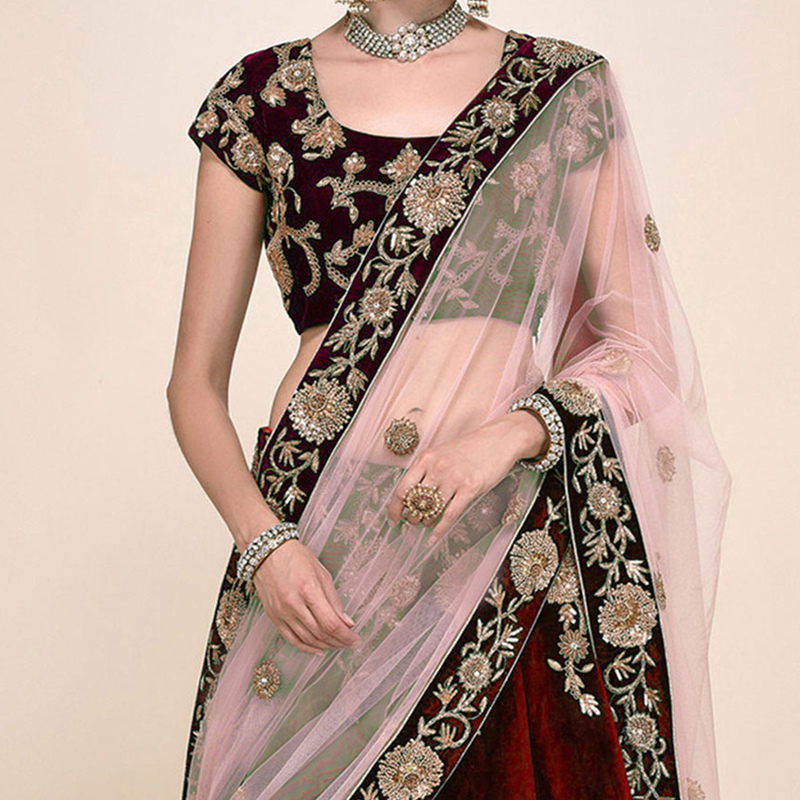 Attract compliment's from all your family members when you step in at your cousin's wedding function in this beautiful off maroon lehenga choli. The outfit has been gracefully decorated thead sequins jari embroidered and stone work which makes it look stunning and outstanding. 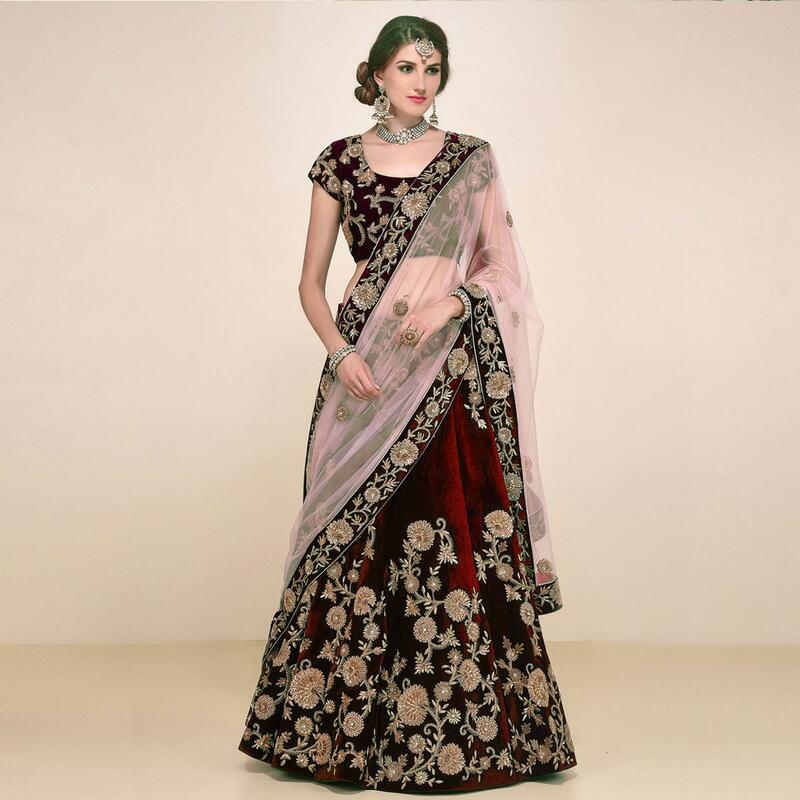 This ethnic piece comprises velvet fabric circular lehenga satin lining net dupatta and velvet choli. Team it with fashionable ethnic accessories and jewelry for an additional attraction.